We offer wide range of Liquid Glass Cleaner. - This glass cleaner can effectively wipe out stains & dirt from not only glass but also from polished wooden and fibre surface. 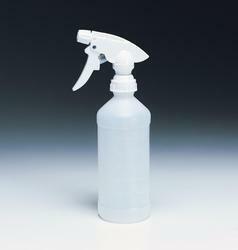 - It’s very small amount of spray is sufficient to add sparkle to glass window panes and table tops. this workd best on glass, sofa and any other surface .used after dilution with water 200 ~300 time its working cost is less than 4 rs/ltr hence it is very cost effective as compared to other products . it can remove hard stains caused due to hard water . Driven by a vision to achieve significant growth in this industry, we are committed to providing a wide array of Liquid Glass Cleaner. ISPO PRIMER 022 is a BLACK Primer specifically designed for the ceramic band on vehicle glass. It ensures the complete protection of the adhesive by creating a barrier against harmful UV rays which can lead to the degradation of the adhesive. It is also an adhesion promoter. To be used in conjunction with Cleaner/Activator. We are Leading Manufacturer and Exporter of Wide Range of Glass Cleaners, Phenyl, Liquid Cleaner , Toilet Cleaner and Liquid Feshner . We have all type of car cleaning products like glass cleaner, glass polish, tyre polish, dash board polish, rubbing polish etc. 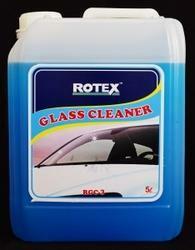 We are offering Car Glass Cleaner to our clients.